I couldn’t put this down. Besides the art being gorgeous and the colors being mesmerizing, the story itself was so compelling. 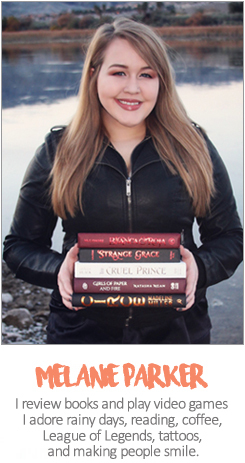 It’s an instant recommendation for anyone who enjoys graphic novels. 1. )Is the hero really a good person? 2. )Is the villain really a bad person? 3. )Can one person be both? Can we be both? People can be selfish and do horrible things. People can make mistakes, but can also be redeemed by their actions. I think the whole message make the world a little brighter, or hell, at least a little more tolerable. I found this amazing web-comic a while back, and it totally blew me away. When I found out it was being published as a graphic novel, I knew I had to buy it and review it so I could sing it’s praises (since I refuse to review 20 page comics, volume after volume, on Goodreads). 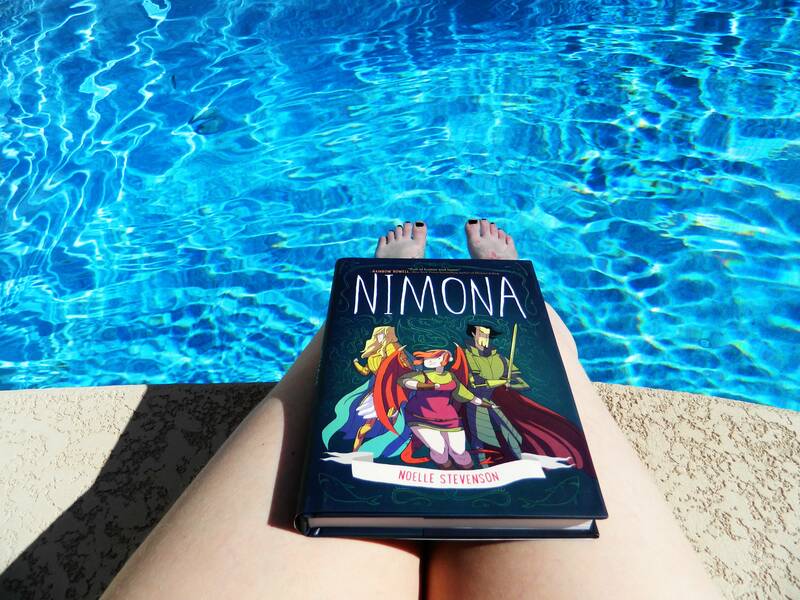 I am also in love with Noelle Sevenson’s work with the amazing Lumberjanes comics. I recommend both of these pieces of art. They are filled with humor, acceptance and love. These are both graphic novel gems! Did I mention how gorgeous this book cover and every page inside it is? 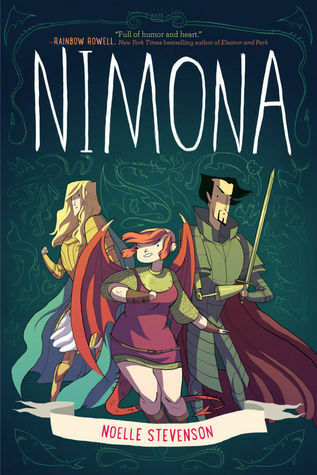 I think it may be time for me to pick up Nimona 😁 awesome review!